Deemed one of the world’s 50 best business professors by Fortune Magazine, Tom Davenport pioneered the concept of data as a competitive differentiator in business, writing and publishing on analytics years before the sector caught up to his ideas. As a consultant, he’s helped hundreds of businesses worldwide optimize their decision-making and management practices. Tom describes himself as a sociologist of business information and with good reason. Aside from his groundbreaking research in analytics as a competitive tool, referred to by Harvard Business Review as “one of the most important management ideas of the past decade,” Tom’s the creator and/or early author of several key business ideas including: knowledge management, human approaches to information management, business process reengineering, and realizing the value of enterprise systems. He has been voted the world’s third leading business strategy analyst in Optimize Magazine and has written over 100 articles and 16 books, including his most recent book Big Data at Work: Dispelling the Myths, Uncovering the Opportunities. Tom is the President’s Distinguished Professor of IT and Management at Babson College, and a research fellow at the MIT Center for Digital Business. He is also the cofounder of the International Institute of Analytics, where he guides their research efforts to build strong and competitive analytics programs. Since its creation in 2010, Tom and the IIA have helped over 200 organizations gain a competitive edge in an economy that is driven by data more and more each day. Tom is a renowned thought-leader who has helped hundreds of companies worldwide to revitalize their management practices. He combines his interests in business, research, and academia as the President’s Distinguished Professor in Management and Information Technology at Babson College and as a Visiting Professor at the Harvard Business School for the 2012-2013 academic year. He’s also co-founder and research director of the International Institute for Analytics, and a Senior Advisor to Deloitte Analytics. Tom has written or co-authored fourteen books, including several firsts in the areas of big data and analytics, business process reengineering, knowledge management, and the business use of enterprise systems. 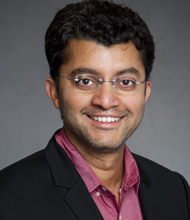 His concept of big data and analytics as a competitive differentiator, initially introduced in a Harvard Business Review article, Competing on Analytics, has been recognized by HBR editors as one the most important management ideas of the past decade and remains one of HBR’s ten must-read articles in that magazine’s 90-year history. 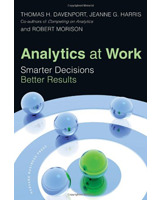 Together with two highly acclaimed books, Analytics at Work: Smarter Decisions, Better Results and Competing on Analytics: The New Science of Winning, cited by CIO Magazine as one of the all-time “Top 15 Most Groundbreaking Management Books,” his work in this area is credited with spawning “a new breed of organization. 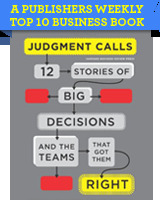 His most recent book is Judgment Calls: Twelve Stories of Big Decisions and the Teams that Got Them Right. It was recently named one of the top ten business books of 2012 by Publishers Weekly. He is currently working on a new book on analytical thinking, tentatively titled Numbers Talk. The author of hundreds of articles, columns and blogs for such publications as Harvard Business Review, MIT Sloan Management Review, CIO, and The Financial Times, he is quoted frequently in media such as The Wall Street Journal and The New York Times. Recognized as one of the top 25 consultants in the world and one of the 100 most influential people in the IT industry, he has also directed research centers at Accenture, McKinsey & Company, Ernst & Young, and CSC. Tom earned a Ph.D. from Harvard University in social science and has taught at the Harvard Business School, the University of Chicago, Dartmouth’s Tuck School of Business, and the University of Texas at Austin. Tom Davenport travels the world to provoke, stimulate, and equip audiences with the cutting edge ideas, strategies and practices he’s developed based on his own pioneering research. A potent force in transforming business practices, Tom possesses the ability to make even the most complex and sophisticated concepts accessible and applicable. 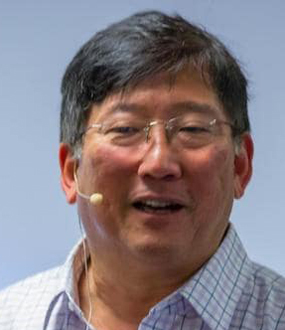 His speaking topics cover a wide range of current – and future – topics critical to the mission of any successful business, although in recent years he has primarily spoken on analytics, management techniques and decision-making. Many organizations have trouble making consistently good decisions. Some, however, demonstrate the ability to make wise, effective decisions over and over again. They have developed a capability for “organizational judgment” through a variety of different means. Some are highly analytical and data-based in their decision-making. Others involve multiple people in the decision process through social media or more conventional techniques. Some simply have a well-defined decision process that encourages honesty, self-examination, and dissent. 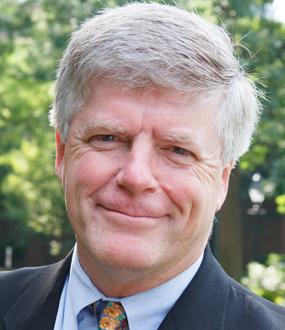 In this presentation, Tom Davenport will describe the roots of organizational judgment as revealed in a major research project and book, Judgment Calls: Twelve Stories of Big Decisions and the Teams that Got Them Right, and the many benefits and manifestations of the concept. 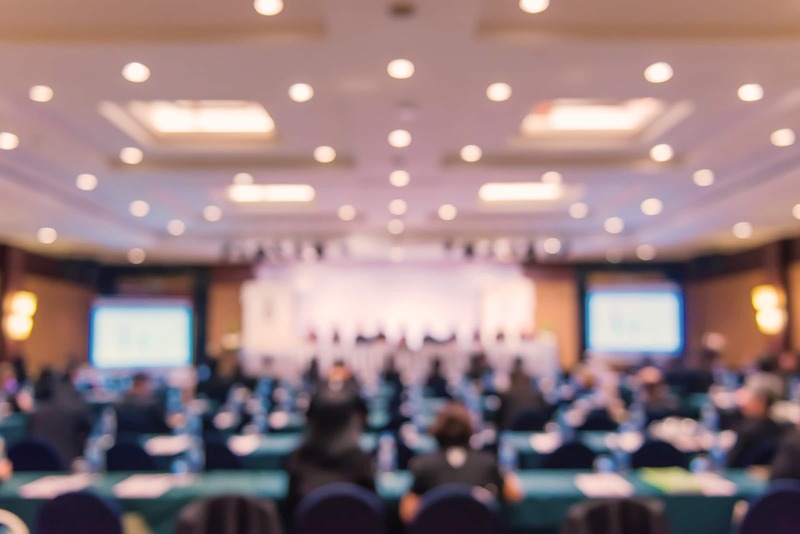 He’ll present several stories of how organizations successfully applied their judgment capabilities to major decisions, or turned around their overall organizational judgment. He’ll augment his presentation with video clips of several of the people and organizations involved in the research.content in here. Drawing on recent research and a host of real-life stories and applications, this talk rivets audiences with its focus on how leading firms are basing their competitive strategies on the sophisticated analysis of business data. Instead of a single application, senior executives are insisting on fact-based decisions to build broad capabilities for enterprise-level business analytics and intelligence. The most successful companies are using data and technology analytics to address the processes, skills and cultures of their organizations. Audiences leave this talk with a set of proven guidelines for how to compete in today’s marketplace on the basis of analytical prowess. Tom also offers a variety of industry-specific messages on big data and analytics, and more conceptual and “how-to-do-it” versions of his message. Peter Drucker has argued that improving knowledge worker productivity is the most important task of the century. Yet most organizations simply hire smart people, and leave them alone. Few measures or management interventions exist to make such improvement possible. This talk presents six interventions for improving knowledge worker productivity, each with a set of approaches, examples, and cautions based on several research studies on how companies addressed knowledge work, both successfully and unsuccessfully. Tom’s recommendations cover the role of technology, organizational culture and behavior, as well as the physical work environment as a mechanism to enhance performance. 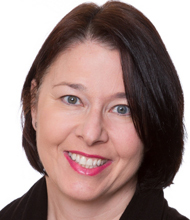 Audiences leave this talk with a blueprint for enhancing knowledge worker productivity. There are no faddish ideas, only faddish approaches to implementing them. In this talk, based on the book by the same name, Tom presents an approach to business and management ideas that can revitalize organizations – and discusses why the adoption of these new ideas matter. He introduces a critically important role in today’s organization with respect to ideas, the idea practitioner, who selects the appropriate ideas for his or her organization, modifies them to fit, and shepherds them through implementation. 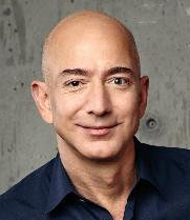 And he convinces audiences that organizational leaders assume shared responsibility for instigating and managing a steady flow of new ideas. Audiences leave this talk energized by the impact that ideas can have on the morale and creativity of an organization. A.T. Kearney, Alitalia, Allied Signal, Allergan, American Express, American Management Systems, Ameritech, Andersen Consulting, Bank of America, Baxter Healthcare, Bell Atlantic, Bellcore, Boeing, Bristol-Myers Squibb, Business Intelligence, CSC Index, Canada Post, Case, Ciba-Geigy, Citibank, Cincom, Clarica, Coca-Cola, Continental Bank, Citicorp, Deloitte & Touche, Delphi Automotive, Department of Defense, Digital Equipment, Dow Chemical, Dun & Bradstreet, DuPont, EDS, EMC, Eastman Chemical, Fiat, Ford, General Electric, Hewlett Packard, Hughes Space and Communications, IBM, Inference Corp., Intel, Interbank, J.D. Edwards, J.P. Morgan, Microsoft, Johnson & Johnson, Kodak, McDonald’s, McKinsey & Co., Merrill Lynch, NASA, Nationwide Insurance, Northeast Utilities, Oracle, PDVSA, Perot Systems, PHH, RJR Nabisco, Royal Insurance, Sandvik, SAP AG, Scudder Funds, Sequent Computer, Shell, Siemens, Software AG, Telia, Teltech, Texas Instruments, Texas Utilities, 3M, Time Warner, Towers Perrin, Travelers Insurance, U.S. Census Bureau, Union Carbide, Unisys, Volvo, W.L. Gore, Whirlpool, Wisconsin Gas, World Bank, Xerox, and many other organizations, some multiple times. Society for Information Management, AICPA, American Management Association, American Productivity and Quality Center, CAUSE Annual Conference, CIO Annual Conference, Ernst & Young Knowledge Advantage Conference (four times), Grocery Manufacturers Association Conference, Workflow Conference, GIGA Workflow and Knowledge Management Conference, Gartner Group Symposium, Groupware Conference, Management Center Europe, Fortune CIO Conference, Planning Forum, Information Week 500 Conference, Life Office Management Association, “CIO Survival Camp,” Japanese Information Management Association, Tokyo U.S. Chamber of Commerce, Chilean National Computer Conference, U.K. Society of Internal Auditors, American Trucking Association, National Association of Accountants, Information Technology Association of America, Institute of Industrial Engineers, Computer Economics Conference, National Association of Government Financial Executives, Life Office Management Association (LOMA), Organizational Systems Designers Alliance, International Development Research Council, MIT Enterprise Forum, Canadian Information Processing Society and many others. A “how-to” guide for developing an analytical capability in your company, and putting it to work. 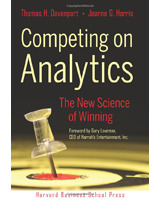 As a follow-up to the bestseller Competing on Analytics, Tom Davenport and his co-authors provide practical frameworks and tools for all organizations wanting to become more analytical and to make better data-based decisions. This book unleashed a worldwide movement in organizations wanting to harness their data for competitive advantage. It describes organizations that use business intelligence and analytics not only to improve operations, but also to compete but also to compete more effectively.